Just wanted to say a huge thank you to both yourselves and Squawka for an amazing weekend. It was an incredible game and what an atmosphere! Bar Charlton games I’ve never celebrated a final whistle so much. Everything was so well arranged from start to finish. It was honestly one of the most incredible experiences of my life and I cannot thank you enough. I was concerned about using FootballBreak as i hadn&apos;t heard of them before. However, I needn&apos;t have worried. The overall experience was smooth and trouble free. Everything came exactly when they said it would, the flights were on time and the hotel was clean and tidy. The tickets were at the hotel upon our arrival and the football match was incredible. 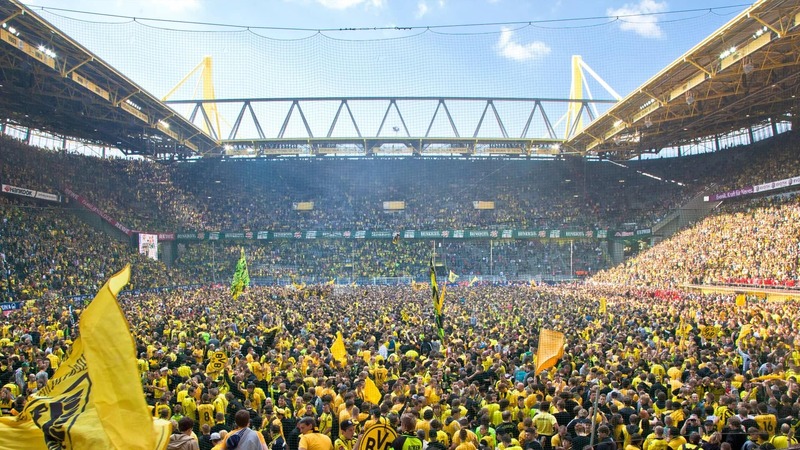 Dortmund is renowned for its atmosphere and we really were blown away! Tip: Not a big city for partying. There are, of course places to have a drink but if you are looking for a holiday to enjoy nightlife Dortmund is not the best. Hotel much, much better than the reviews would have you believe. We had a refurbed room on the 7th floor and it was lovely. But - there were plumbing problems which were not dealt with and which, we suspect, the staff were well aware of. So avoid room 721. Stadium was great though tricky to find the right entrance and we had to check in my small rucksack. Seats were impossibly high, steep stairs to them and and no hand rails. Not for me and I was prepared to forgo the match rather than climb to the sears. The steward was lovely and organised a swap for some lower seats with two very kind fans. Impressed at the way the tickets arrived without any fuss and how things worked generally. 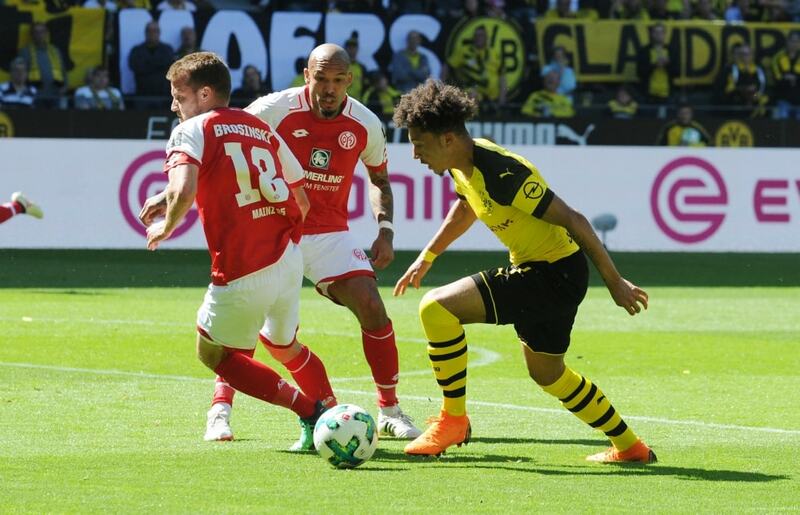 Just wished we we had been able to stay in Dusseldorf which is a brilliant city, much more to do and see than Dortmund - and taken the train to the stadium. Tip: Lots of good places to have breakfast on the station - one minute&apos;s walk - at half the price of the hotel&apos;s breakfast price. It&apos;s a 40 minute walk to the stadium and at least 15 minutes to get in, so leave in plenty of time. The city is quite dull but the people are lovely, very friendly and kind. Don&apos;t eat in the square - poor quality and over priced. Bus tour very interesting, much more so than most and well worth doing if you have time. Learned a lot about the city&apos;s heritage and industry - far more informative that other similar tours we&apos;ve done. Hotel bar does not belong to the hotel (!) so be aware it&apos;s closed on Sundays . . .
We had a great time at the stadium. Our seats were pretty good and we could see well. I think the whole package was probably over priced given what I later learned about hotel cost and ticket prices but I was happy to have assured seats well in advance. Dortmund was lovely and easy to get around, the food and atmosphere was perfect. Tip: Go early, the trains get packed beyond full. Don&apos;t be afraid to walk a little ways instead of waiting for the Stadium train. I was a little suspect first of all of booking the trip with a company I had just found online but there wasn&apos;t any need to worry because everything was exactly as planned and described in the email regarding the trip, I could not of asked for a better package deal, service, flights hotel and match day tickets. 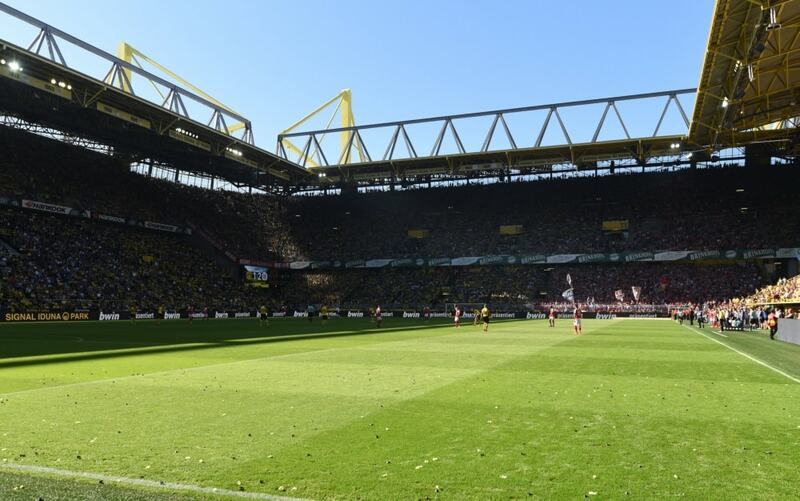 I have been to a fair few grounds around Europe and always wanted to go to watch borussia dortmund because of its famous yellow wall, forget any other ground I would recommend any football fan to go watch a game at the signal iduna park it is incredible. 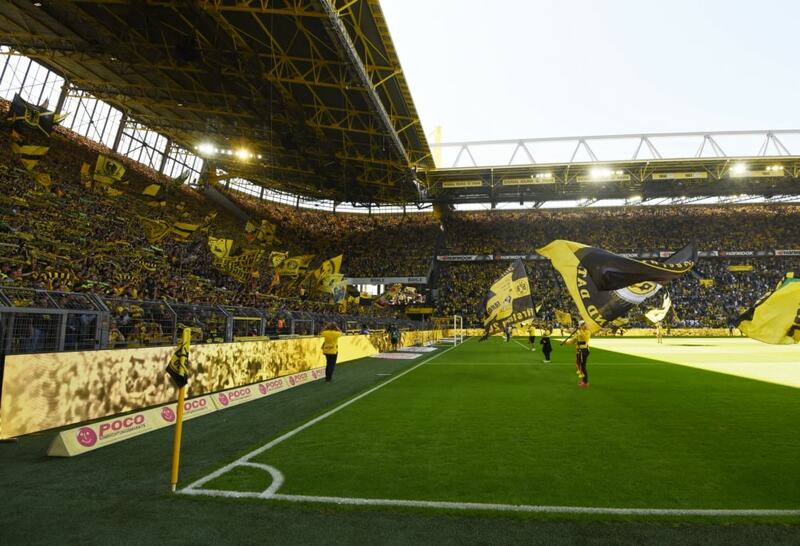 The yellow wall is impressive and they can make some serious noise and they jump up and down constantly which looks amazing, anyone that doesn&apos;t no about the yellow wall I would seriously recommend them to look it up. The atmosphere from start to finish was the best I have experienced even when dortmund was losing 2-0 it was noisy but the place erupted when they scored twice to get a draw. Getting to and from the hotel to the stadium was simple, the underground basically takes you straight to the door. Booking through footballbreak.co.uk couldn&apos;t be easier it&apos;s simple and quick with no hassle it makes sense to book through this company, i&apos;ve recommend it to my family and friends and will be booking with them again and again, they offer a great service I emailed them a couple of times and got a rapid reply answering all my questions. Dortmund as a city didn&apos;t seem to have much of a night life but there&apos;s plenty to do during the day I will be going back, highly recommend going to watch borussia dortmund and use football break.co.uk. Tip: Use the underground it will take you from hotel or town centre straight to the ground. Get there early as the queues to get in can get very big. You need a card to buy food and drink inside the ground but you can buy when inside. The city itself was abit dull but the hotel was very good, right in the heart of the city and 10 min walk from the underground station, the game at signal iduna park was unreal the atmosphere was out of this world and the fans were great. Also did the stadium tour which was well worth it, you can either do it in german or english, paid €10 euro&apos;s and you can purchase tickets in the borusseum on the 2nd floor in the club shop. I would definitely go back again for the football the fans and the atmosphere was different class altogether. Tip: Visit the westfalen park up tower amazing views over dortmund.